When entomologist and renowned photographer Piotr Naskrecki posted images of long-winged bats plagued by facehuggers, he caused a bit of a stir. At first glance, the strange creatures look like spiders or ticks, but they're actually a type of wingless fly found exclusively on bats. Naskrecki made the discovery while working on a biodiversity survey in Mozambique's Gorongosa National Park, and when he took to Facebook to share his find, debate and hilarity ensued. "The photo was reported for depicting 'graphic violence', and of course there were accusations of photoshopping the whole thing," he says. The flies (Penicillidia sp), however, are both very real and very interesting. The ancestor of Penicillidia flies probably looked something like modern tsetse flies, which also feed on blood. But after millions of years of co-evolution with their furry hosts, bat flies have become highly specialised parasites. For starters, their bodies became flattened and very hard, making it almost impossible for their hosts to squash them. Special "claws" at the end of each foot and hairs on the legs make it extremely difficult to dislodge them from fur. 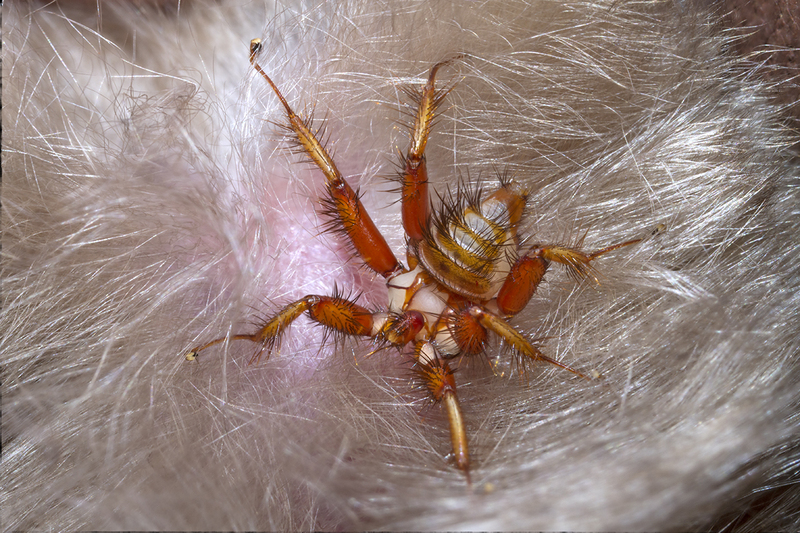 "These insects know the value of a good host and once they land on the furry back of a bat, they never leave it again," explains Naskrecki. 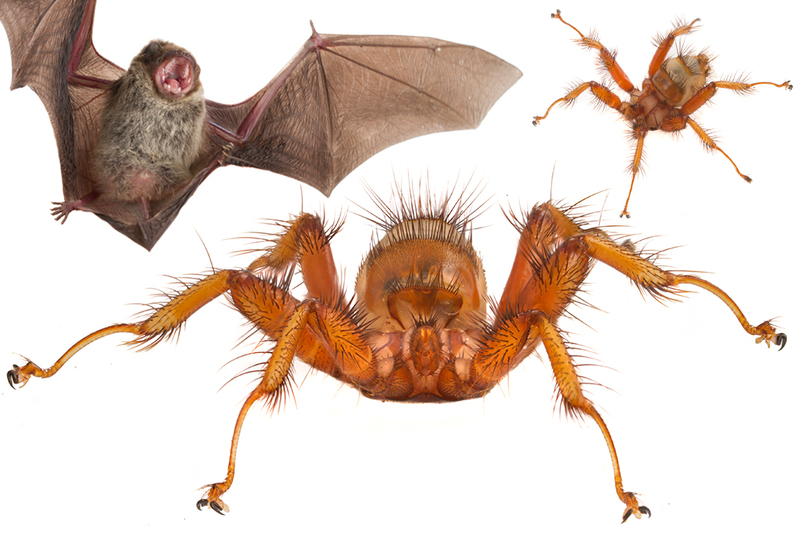 "Female bat flies, like their relatives tsetse flies, are remarkably good mothers," he adds. "The great majority of insects lay hundreds or thousands of eggs, betting on one or two of them making it to adulthood. 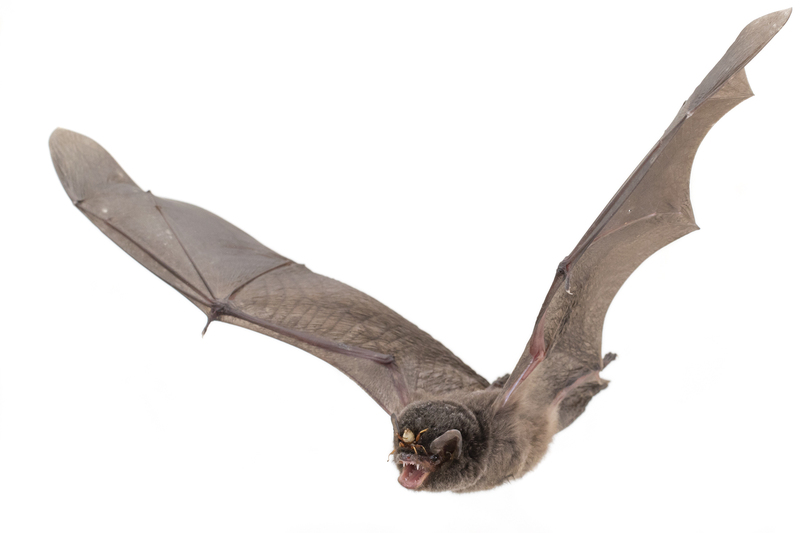 Bat flies, on the other hand – like humans – prefer to invest a lot in a much smaller number of offspring, hoping that they will all make it to the reproductive age. Instead of laying eggs the female gives birth to a single, fully developed larva, which immediately turns into a pupa." 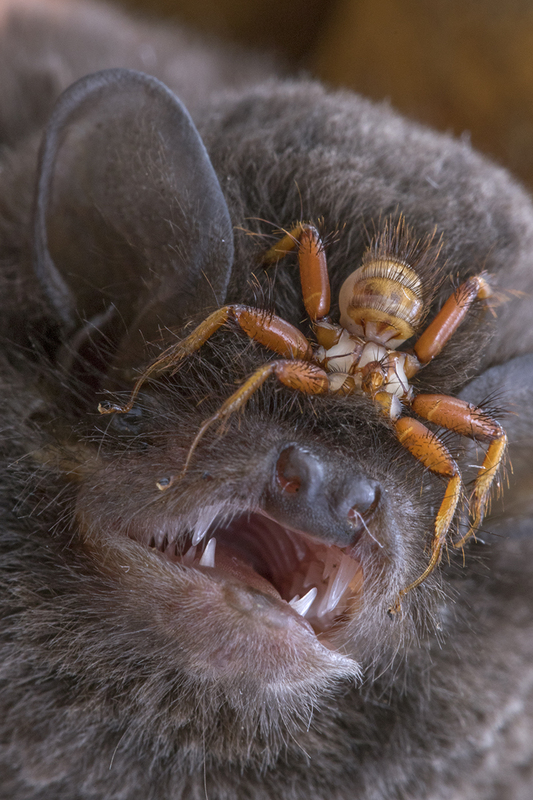 In fact, because the parasites can't survive for very long on their own, the only time a female bat fly will leave its host is when the time comes to drop her larva off in a safe place – usually the wall of the bat's cave roost. Then, she'll quickly rush back, guided by the smell and warmth of her host. While most people view parasites as lowly animals, Naskrecki begs to differ. "If anything, parasites, including bat flies, are incredible examples of evolution at its best, organisms capable of both adapting to life in the most hostile of environments (the very substrate you live on wants you dead!) and resisting diseases that live inside your body." For more amazing wildlife photos, stories and info, check out Naskrecki's blog, The Smaller Majority. A brain-eating fish parasite may be the cause behind the mysterious affliction plaguing California's leopard sharks and coastal ray species. It's all the horror of the mouth-infesting isopod Cymothoa exigua relayed through the friendly medium of fabric puppets.